It is hard to overstate the impact that clean, affordable, reliable energy will have. It will make most countries energy-independent, stabilize prices, and provide low- and middle-income countries the resources they need to develop their economies and help more people escape poverty – all the while keeping global temperatures from rising more than 2 degrees. I am optimistic that the next 15 years can bring the big breakthroughs we need to accomplish all of these things. 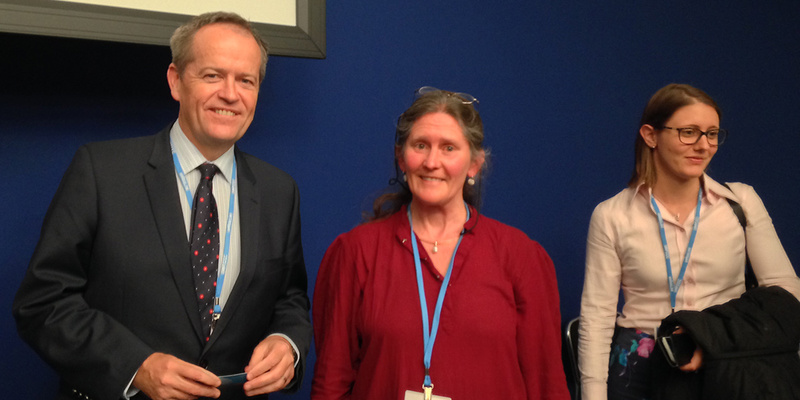 It was a useful, frank sharing with Bill Shorten, enabling him to explain some of the thinking behind his launch of Australian Labor Party’s new climate policies at the Lowy Institute and several CANA delegates to ask him questions about the scale of climate finance on offer, the commitment to support the peoples of the Pacific, the potential to ramp up commitment to renewables and the path to 2050. Maddie Sarre of AYCC asked the last question, whether the ALP would commit to a 1.5 degrees C limit for the sake of future generations. 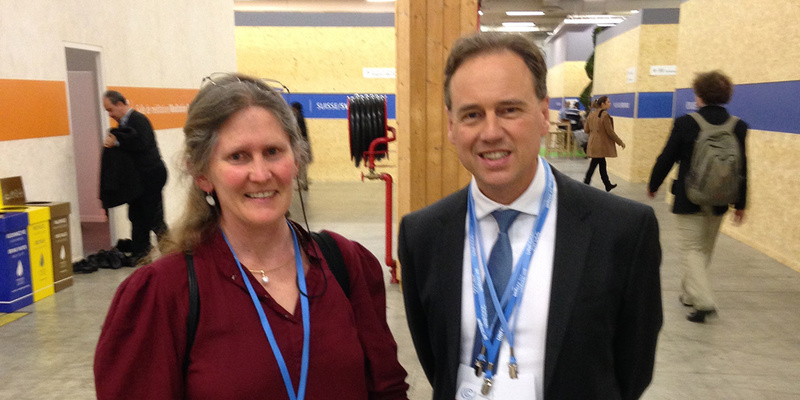 In a quirk of fate, soon afterwards I had a brief corridor chat with Australian Federal Environment Minister, Greg Hunt. I mentioned it was a shame the announced climate fund monies were coming from within the existing aid budget. 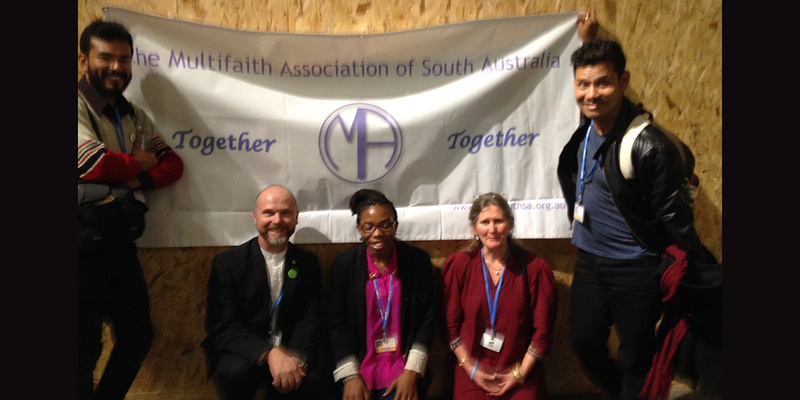 We touched upon soil carbon projects in the Emissions Reduction Fund, and the growing role of faith and science in bringing a moral authority to decision-making around climate change action. I took a brief interlude catching up on Dutch management of water, landscapes and city planning in spatial adaptation to climate change in the city of Breda and the benefit of establishing collaborative arrangements for water management “fit for the future“. Then I made my first trek outside the Blue Zone and walked the long raised walkway to the Generations Space to join my second interfaith gathering. Like the first meeting held on Monday afternoon, it was hosted by Dr Nigel Crawford from the IUCN & CEESP. I missed a little, due to the joys of trying to find the right meeting room, but enjoyed every minute once there. Rev. Kang Hae Yun, Korean Buddhist monk (translated by Narumon Paiboonsittikun from the International Network of Engaged Buddhists), told us about a massive project to set up the Danggan Solar Power Cooperative and put solar panels on 70 temples and schools. In addition to providing renewable energy and a new income stream for the monks, the project has enabled the monks to live independently of Korea’s nuclear industry. 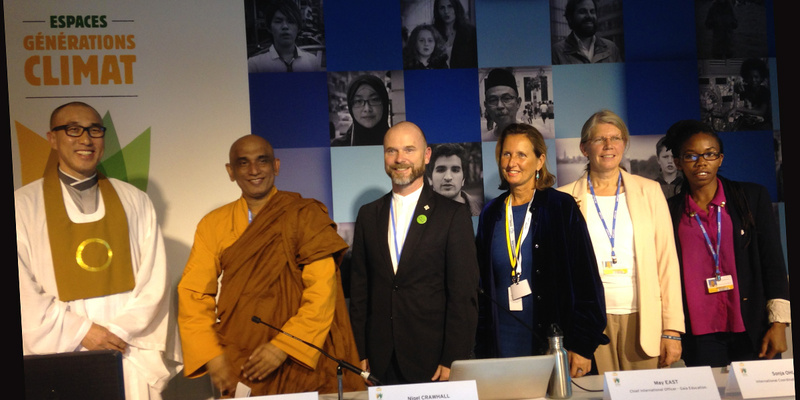 Venerable Athurliya Rathan Thero from Sri Lanka, called upon the audience to join Sri Lanka in rejecting fossil fuels, converting their agriculture to sustainability, and protecting the future by moving into a new paradigm. We are living in a global system. Take care of your Thoughts for they become Words. Take care of Words for they become Actions. Take care of Actions for they become Habits. Take care of Habits for they will form your character. and your Destiny will be your Life. 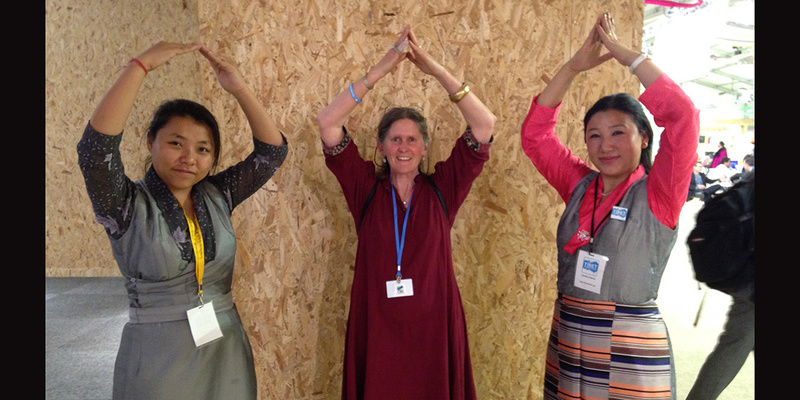 Fittingly, my day ended by joining Norzin Dolma from the Tibetan Women’s Association in Dharamsala and Lobsang Yangtso from Jawaharlal Nehru University in supporting #‎climateaction for Tibet – #‎RoofOfTheWorld #‎COP21”. For video and story updates on the COP21 Climate Conference in Paris, visit newint.org/live/paris – the New Internationalist media hub #NICOP21. 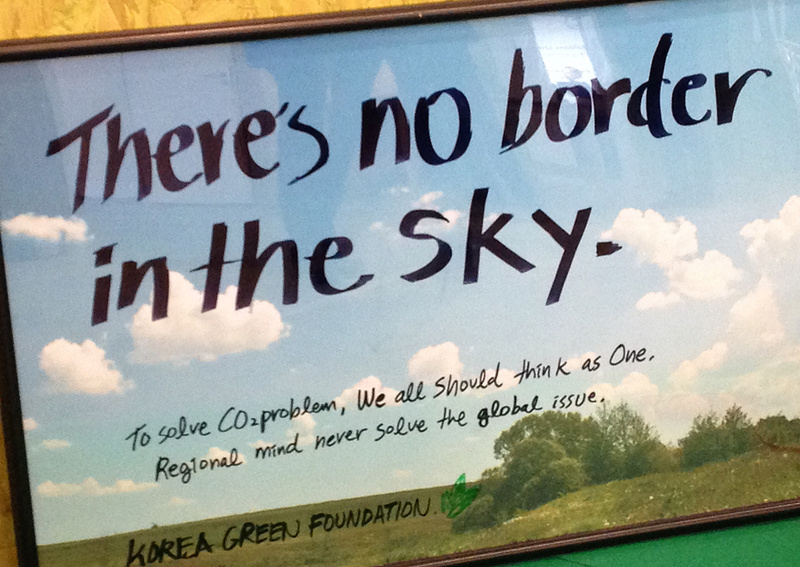 See also the New Internationalist magazine special issue on COP21. It discusses what a good outcome would be on the major issues under discussion. This entry was posted in Activism, Climate change, Economics, Environment, Foreign aid and development, Renewable Energy and tagged activism, AYCC, climate change, COP21, economics, environment, renewable energy, solar power, sustainability by Philippa Rowland. Bookmark the permalink.